Google has recently started referring to Android versions without the usual "point-0" suffix, so we expect Android 10 to simply be called "ten." As for the dessert codename, there aren't many choices that start with the letter Q (Qurabiya? Quindim? ), but a sponsored name like Android Quik isn't out of the question. While we don't know much about the name or nickname, we got our hands on the Developer Preview 1 and got our first look at the new features. There are privacy improvements, a new dark mode, and even a chance that major system updates could start being pushed through the Google Play Store, so there's plenty to dig into. 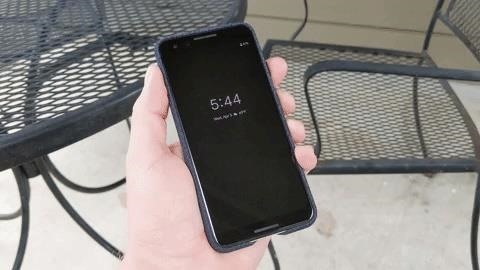 Later that day, Google added to the hype by stating that the dark mode was, in fact, a toggle in Developer Options which changes the look of Quick Settings, the power menu, the app drawer (when using Pixel Launcher), and Google-developed apps which implement a dark theme, such as Messages, YouTube, and Phone. At the time, we were cautiously optimistic. However, with Android 10 Q in hand, we can confirm that Dark Mode is finally here! In the final release, the setting should be under the "Display" menu in Settings. Here, you will find the new "Set Dark Mode" option, which will include three settings, turn on dark mode, turn off dark mode, or switch automatically based on the time of the day (very similar to the dark mode we got in Android 9). There's a key difference between the Android 10 dark mode and the half-baked one in Android 9: it will turn all system apps dark, as opposed to Android 9's version only working in select Google apps. However, with the first developer preview build, the "Set Dark Mode" option isn't present yet. Instead, users who update from Android 9 with the previous half-baked dark mode enabled will get dark mode, while others get light mode. There's an ADB command to set it manually, but we expect this to change to a user-facing option by the time Android 10 is officially released. Imagine not having to wait on carriers or your phone's manufacturer to roll out an OTA update before you could get access to the latest Android features. Instead, a large part of these updates would come directly from Google as soon as they were available, perhaps through a simple app update on the Play Store. According to XDA, an expansion of APEX ("application express") in Android 10 could lead to such a scenario. At the very least, it appears Google will be changing the way libraries are updated in the new version. Libraries are precompiled code which are called on by other programs such as Android apps. In previous versions of Android, these libraries required a software update in order to be updated. With Android 10, these libraries can now be updated in the same manner as an app. While the full ramifications of this change are still unknown, on the surface, it appears as though this could mean a large chunk of system updates could be offloaded onto the Play Store. In a perfect world, this would mean the biggest parts of Android updates would be available to all users almost immediately. Several foldable phones have already been announced this year, with rumors of a few more before the year ends. Each of these phones will use Android, which currently doesn't natively support this new form factor. 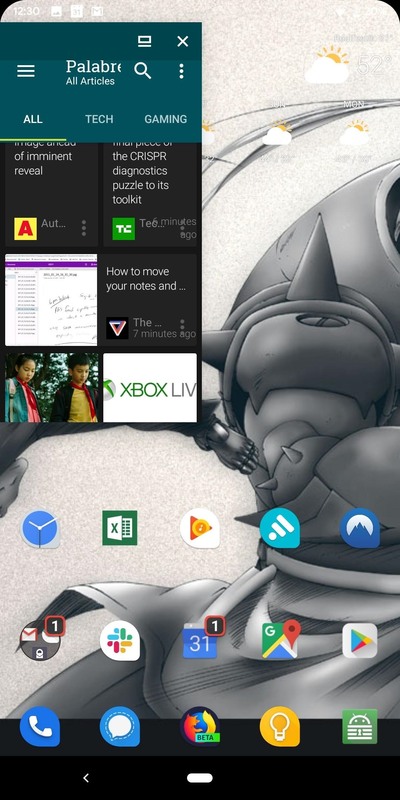 Android 10 adds built-in support for foldables and the multiple orientations it can appear in. Therefore, despite the different ways Huawei, Samsung, and Xiaomi has implemented bendable display, the OS will be able to work with it, providing a seamless experience in each case. Project Treble helped to deliver faster Android updates to non-Pixel devices. Another benefit of this change was that developers could flash Generic System Images (GSIs) on any Project Treble-enabled device to get the latest Android version and test how their apps worked on it. However, this required an unlocked bootloader, something not possible on some phones (such as many carrier-branded phones). According to XDA, Android 10 will introduce a new project called "Dynamic Android." This will let developers install a GSI temporarily on a device, without the need of unlocking the bootloader. No longer do developers need an emulator to get the latest software update and test how the latest software update will affect their app. Instead, they can test it on their device, whether their bootloader is unlocked or not. There are obvious implications here — this feature could greatly benefit the custom ROM community if Google implements it in a way that allows regular users to take advantage of the feature. While it would likely require a device that shipped with Android 10, imagine a future where you could boot LineageOS as a Dynamic Android GSI without having to unlock your phone's bootloader. 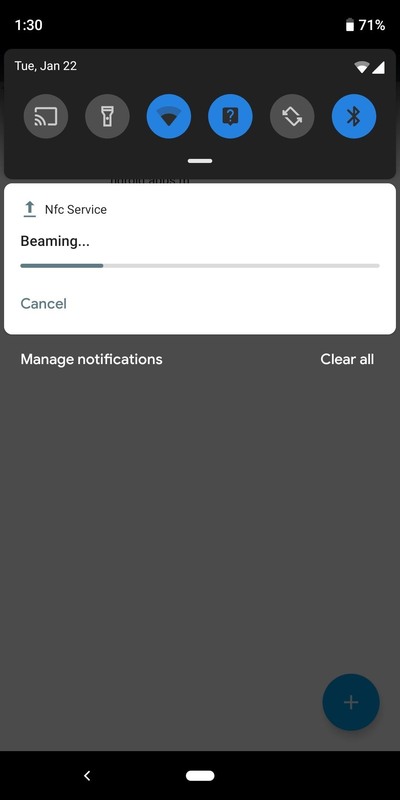 If I asked you to recall the last time you used Android Beam, would you remember? It seems this might be the case for many Android users, which would explain why Google appears to be getting rid of it in Android 10. In the first developer preview build Android 10, Google removed this feature. While the feature was much more useful when it first launched, a lot has changed since then. Namely, the ability share large files easily with file sharing apps or Bluetooth has limited its usage, and it appears (although, we are not entirely sure) Google feels it is no longer needed. While Google is removing the feature, they're still leaving it up to manufacturers to decide whether or not to keep Android Beam. When OEMs add support for NFC, they will also have to declare support for Android Beam. How many OEMs continue to support this feature is anyone's guess, but it looks like the end of days are coming for Android Beam. Digital Wellbeing, the new hub introduced in Android 9 Pie to protect yourself from your phone, might be getting a new home in Android 10. According to AndroidHeadlines, Digital Wellbeing was found in the Chrome browser. No, the feature isn't moving. Instead, the same app limits and tracking can now be applied to your web browsing. This feature also eliminates a workaround where your Instagram usage has expired for the day, and you use the browser to continue to use the social media platform. Once again, Google is continuing its effort to protect users from malicious apps and malware with Android 10. The new version includes more control over permissions. Now, you can specify that apps can only access certain sensors and permissions while you're actively using them. 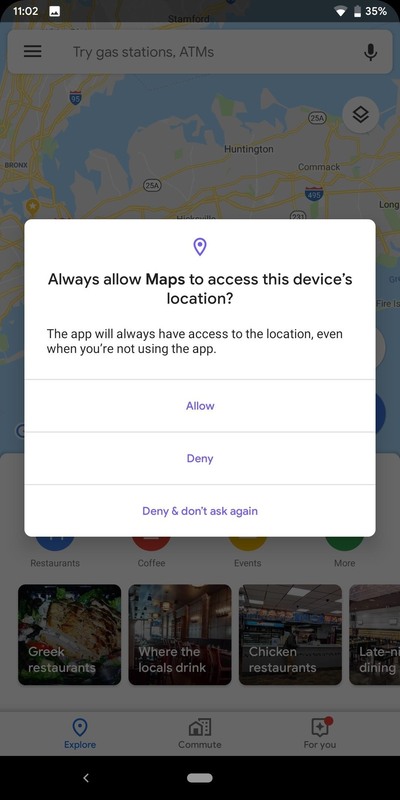 For example, you could give Google Maps permission to access your location while the app is open, but block the location permission when Google Maps is closed. The information page for individual permissions has also been revamped, making it easier to understand for casual users. 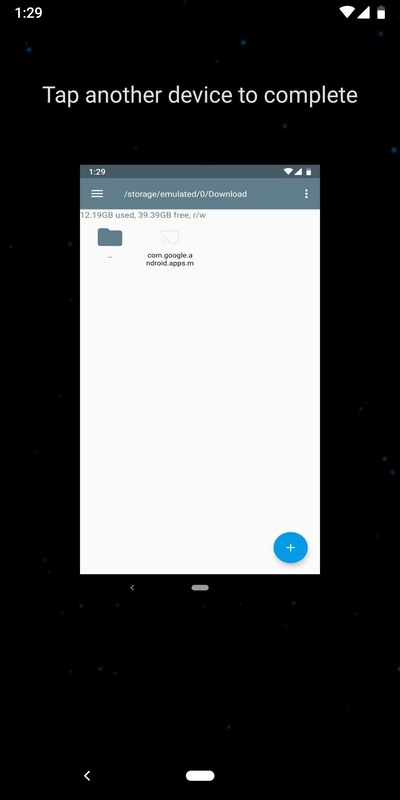 Borrowing from the look of the Digitial Wellbeing app, Android 10 makes it easy to see what permissions an app has access to and which it doesn't not. It will also list which permission is the most requested and which permission is the most used, so you can make an educated decision regarding how sensors are used by apps installed on your phone. For permission requests, the location permission has given us an additional option. While for other permissions you are limited to allowing or denying, with location, you can limit usage to only in the foreground. 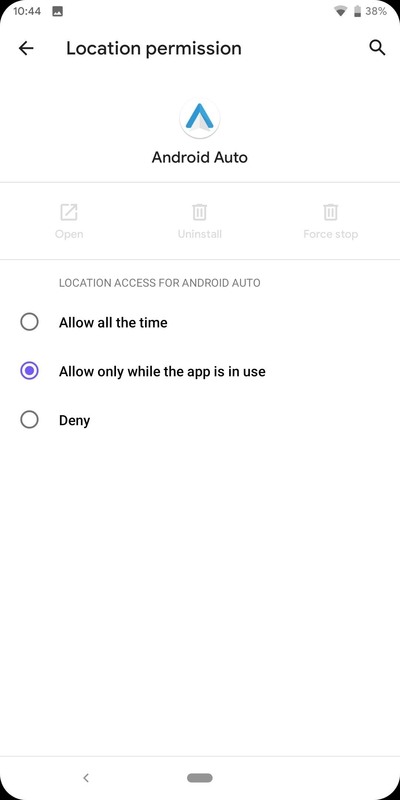 By choosing "Allow only while the app is in use," you can limit malicious apps from recording your location in the background. It also acts as a middle option, between outright not trusting the app with your location and completely trusting the app with this information. At least now you have to open the app before it collects data, limiting the harm it can cause. 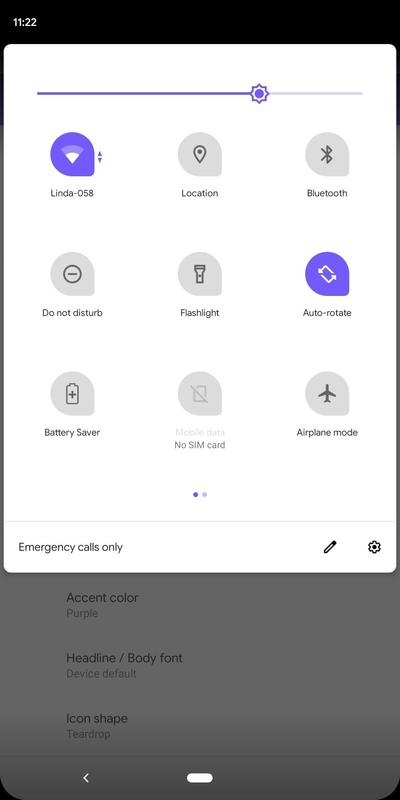 Android 10 will also include a new "sensors off" Quick Settings tile. 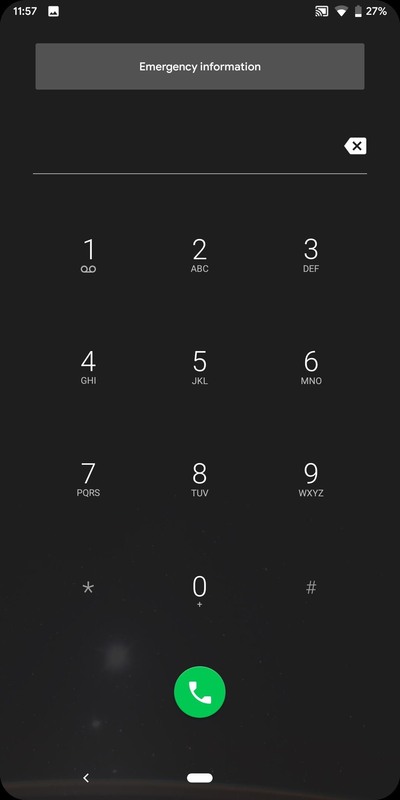 According to XDA, this tile appears to disable all radios and turn on airplane mode. XDA speculates this might also turn off sensors such as the accelerometer, gyroscope, and others. If this turns out to be true, this would be one of the first times a mobile phone provided this access, which could help curb the fears of the most privacy-conscious individuals. One of the many advantages of rooting is the ability to better manage the amount of access apps have. For example, you might not be aware, but every Android app can read and modify your clipboard. Currently, the only way to alter this action is with apps such as AppOpps, a framework which lets you manage these hidden permissions. 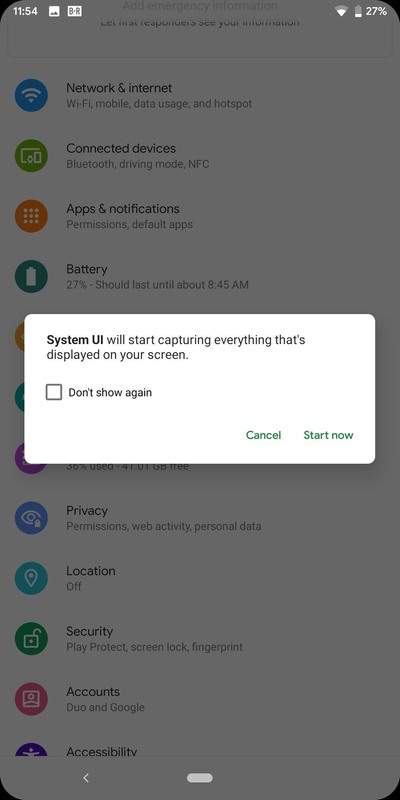 Android 10 will finally change this default permission. According to XDA, the new version will limit what apps can read in the clipboard in the background. While this change isn't as significant as it would have been three years when AutoFill API didn't exist (meaning you were likely using the clipboard to hold your password to log into accounts temporarily), it does improve protection for users and continues Google's dedication to improving the privacy and security of its platform. On Android, data is stored on either the internal storage or external storage (microSD cards and USB drives). As it currently stands, when apps are given permission to access the external storage, they can read and write any file. This setup has the potential to be abused, as apps can use this ability to access data they don't need access to. 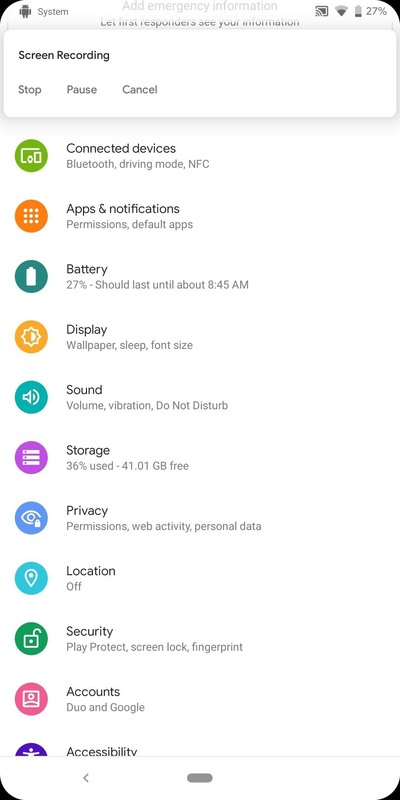 Android 10 changes this by the introduction of new permissions. 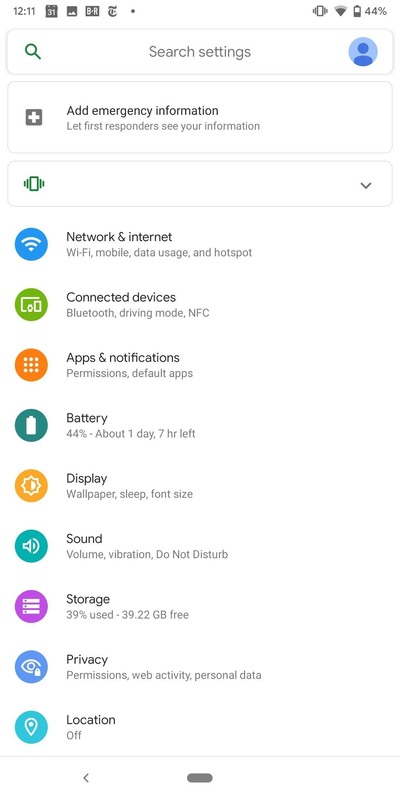 According to XDA, with Android Q, you will now be able to grant or deny the following permissions to apps: the ability to read locations of your media, ability to access music files, the ability to access photos, and the ability to access videos. For apps which already hold the ability, the external storage permission will be limited to only a read permission instead of both read and write. In Android 8.0 Oreo and 9.0 Pie, Google made considerable steps to limits apps' ability to access your location in the background. This change came as a way to prevent malicious apps from tracking a phone's position unbeknownst to users. However, this change hurt well-intended apps, as it prevented them from mapping your location in the background. Instead, they were forced to wait for the user to open the app and then gather your position, hindering the experience. In Android 10, Google is revising this policy again. According to XDA, apps can gather your location in the background again. However, users will be better warned thanks to the improved permission system, which will tell you when an "app will always have access to the location, even when you're not using the app" and allow you to change this setting. adb shell am start -n "com.google.android.apps.nexuslauncher/com.android.launcher3.SecondaryDisplayLauncher"
Remember, Mac and Linux users need to use "./adb" instead of "adb." Android Q is borrowing from Samsung and bringing freeform windows to stock Android. 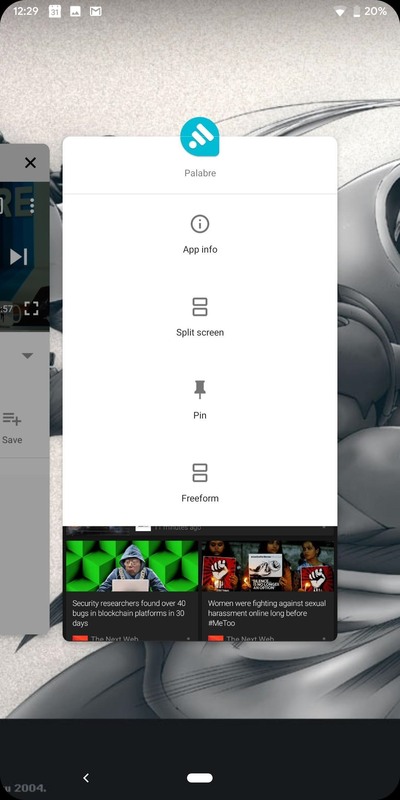 These windows are small rectangles which are overlaid on top of other apps. Unlike Picture-in-Picture mode, which is limited in size, you can increase these windows to whatever size you need, and it doesn't require the app to include support. At the time of this writing, you can only have one freeform window open at a time. These windows can be of any page in the app and aren't limited to video like PiP. We have all been there. We changed the Wi-Fi password, and now everyone in our household is asking for the new password. You might have texted it to them in the past, but this is dangerous, as SMS is unencrypted and can be captured during transfer. Additionally, unless they delete the message off their phone (and you off your own), anyone with access to their text messages now has your password as well. Android 10 fixes this by adding the ability to share your password using a QR code. These secure codes can be scanned by iPhone and Android users (even older Android versions), allowing them to instantly connect to the Wi-Fi network without ever knowing the password. This feature even requires authentication to execute (such as your fingerprint or passcode), protecting you in case someone takes your phone and tries to share this information. According to 9to5Google, four commits have posted which focus on carriers' ability to restrict devices. 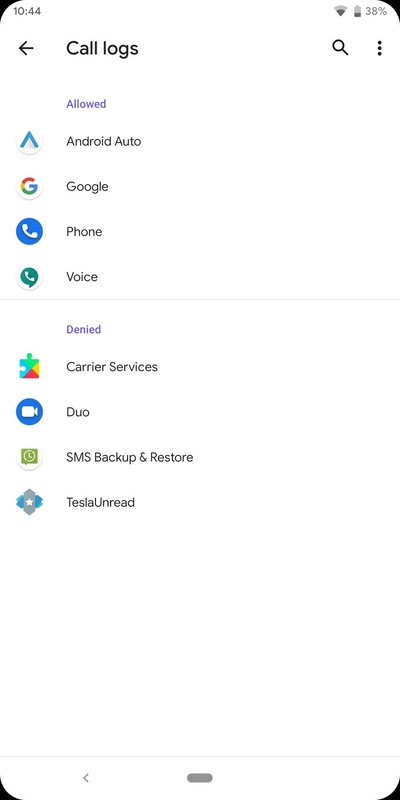 Specifically, in Android 10, carriers will now be able to create a whitelist and a blacklist of phones for their networks, making it difficult for certain unlocked phones to be used with their cell service. New constraints are also coming which involve dual-SIM phones. With Android 10 devices, carriers will be able to restrict the second SIM slot from activating until an approved SIM card is in the first slot. This restraint will apply even after restarting the phone or if you conduct a factory reset. Facial recognition has reemerged as a popular biometric for smartphones. Apple's iPhone X was the first phone to combine several sensors, including a dot projector and IR illuminators, to create a method which was both secure and fast. And with most technologies in the smartphone industry, the competition was quick to replicate, creating both less secure methods (such as the ones found in OnePlus phones) and almost identical copies from Huawei and Xiaomi. However, the Android OS doesn't include native support for facial recognition biometrics, and as a result, the more secure iterations had to work with Google to customize Android, making them less efficient than they could be. According to XDA, however, it seems the next version of Android will add native support. In Android 10's framework-res APK, lines were found discussing an error message when a device lacked facial recognition hardware. But even more interesting were the lines of code which discussed how to set up facial recognition. Similar to the fingerprint scanner, these outline the need to set up a password, PIN, or pattern as a backup. This suggests the system is setting a form of biometrics which is trusted by Google and can be used in all places where a fingerprint was (pending developers add support to their apps). Android 10 will add a built-in screen recorder to complement the built-in screenshot feature of the OS. Like the screenshot feature, this is a major win for privacy, as screen recorder apps have been a breeding ground for malware. While masking as a screen recorder app, malicious developers have used these apps to record your screen in the background and use this information for financial incentive. With a built-in screen recorder, you'll no longer have to trust third parties apps. The power menu is getting a new button, Emergency. 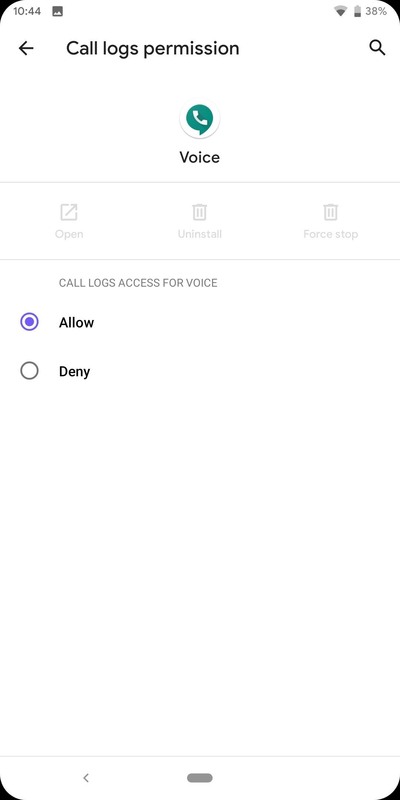 Android 10 will add a new button which will launch the emergency dialer. This way, you can quickly call 911 or other emergency services while in a pinch. Wi-Fi standards and versions can be confusing. There are versions which previously were labeled with letters (such as 802.11ac) and now identified using numbers ( such as Wi-Fi 6) which indicate the speed and performance of the wireless connection. Then there are security standards (such as WPA2) which indicate the type of protection available to prevent hackers from access your network or your internet connection. The latter is what Android is gaining support for in Android 10. The latest security standard is WPA3 and it brings much-improved security to Wi-Fi. WPA3 introduces Simultaneous Authentication of Equals (SAE), which replaces WP2's Pre-Shared Key. SAE is a new way your router can determine whether your phone can access your network. Up until 2016, Pre-Shared Key was considered secure until the Key Reinstallation Attacks (KRACK) were discovered, making Wi-Fi networks based on WPA2 vulnerable (although, a fix was sent out later in the form of a security patch). WP3 also supports 192-bit encryption, up from the 128-bit encryption in WPA2. This is an optional feature but can massively benefit schools and organizations which require the highest level of protection. WPA3 also makes open Wi-Fi networks more secure by using "individual data encryption" even when on an open Wi-Fi network. With 5G just around the corner, Android needs to get ready for the upcoming wave of 5G-supported devices and networks. Currently, there is no indicator for when your phone is using a 5G network. However, 9to5Google discovered both 5G and 5G+ indicators in the Android 10 code, so this will no longer be a problem. 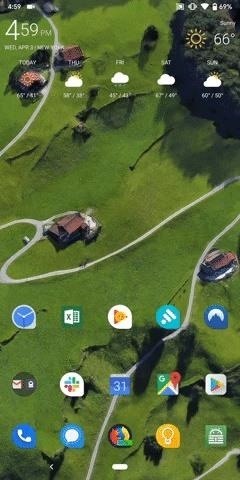 While for years you could change the shapes of icons via custom launchers, it was limited to only icons placed on the home screen and in the app drawer. 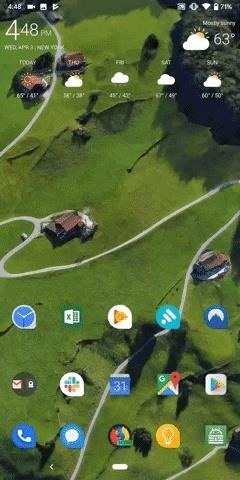 In Android 8.0, the Pixel Launcher even added support for new icon shapes along with the Adaptive Icon feature. However, if you preferred the look of the "teardrop" or "squircle," you would lose that look while within Settings and other areas. With Android 10, Google is finally adding the option to make this a system-wide change, and it comes with a little bonus. Unlike launchers like Nova which can change the icons of apps only, this new feature will also adjust the look of the Quick Settings tiles. Before Android 10, this feature was exclusive to custom ROMs and was an easy way to help differentiate your phone from the crowd. 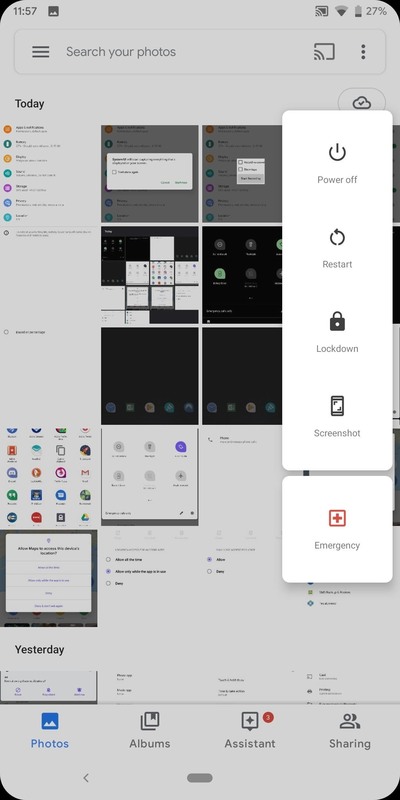 In addition to the Quick Settings tiles, everywhere app icons are shown will include the change (as long as they support adaptive icons), including the Overview menu (multitasking UI) and the Share menu. 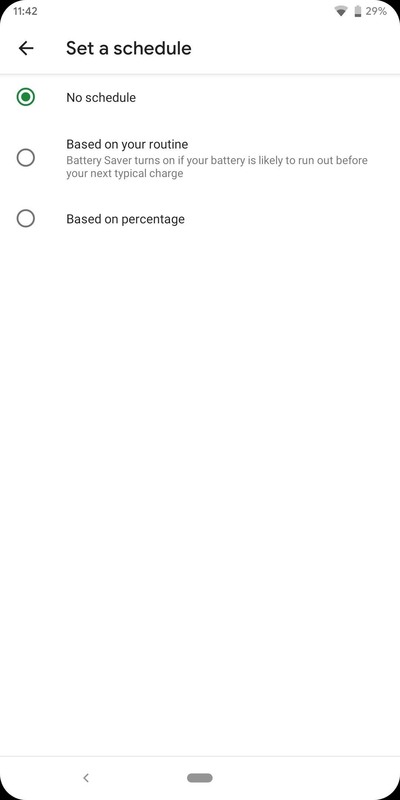 There are currently four options available: the default circles, Teardrop, Squircle, and Rounded Rectangles (which match the new look of Android Q quite nicely). System-wide adaptive icons weren't the only new customization feature added to Android 10. You can also add system-wide accent colors, labeled as "themes" in the Developer Options menu. With themes, you change the color of active Quick Settings tiles, the brightness bar, active toggles in Settings, and much more. There are currently four colors to choose from: blue (default), black, green, and purple. 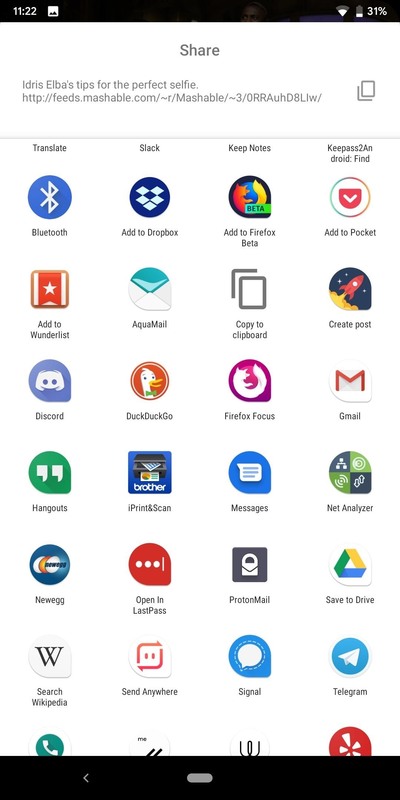 Based on some unpacking done by XDA, it appears that these theming options are actually apart of a new app which will come preinstalled on Pixel devices running Android 10. The app, which appears to be called Pixel Themes, will include the new accent colors, font changes, and icons shapes which are currently found in Developer Options. 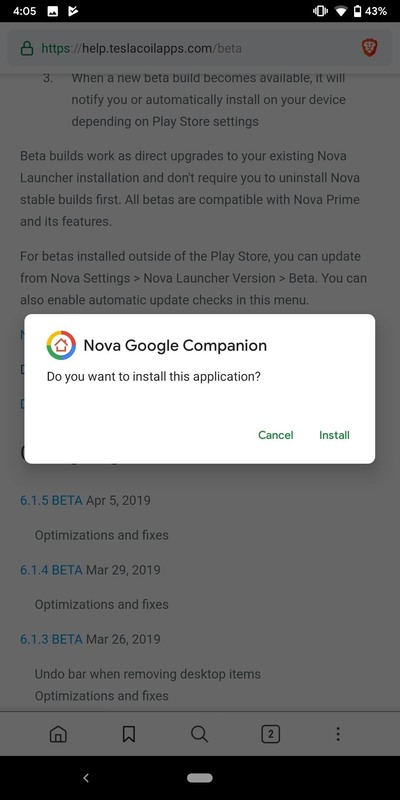 This also means that as an app, Google will be able to update this with new options, giving stock Android much needed customization options previously only found in custom ROMs. Seeing your phone has X% of battery left doesn't tell you when exactly your phone will die. While you can estimate based on the percentage (such as if you have 5% battery life, you should probably run and find a charger), it becomes a bit more difficult when dealing with a percentage not close to 100% or 0%. Knowing the time of your phone's battery death can help you make decisions when in a pinch and a charger isn't nearby. 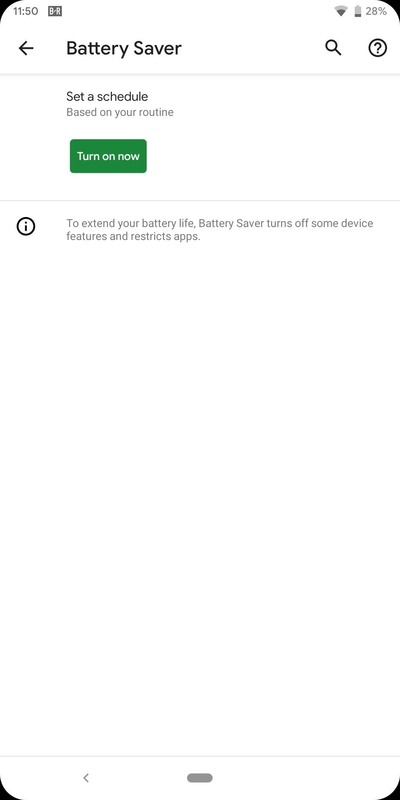 In Android 9 Pie, Google introduced Adaptive Battery, a feature which used machine learning to learn your phone habits (regarding battery consumption) and optimize the system to match your phone usage. 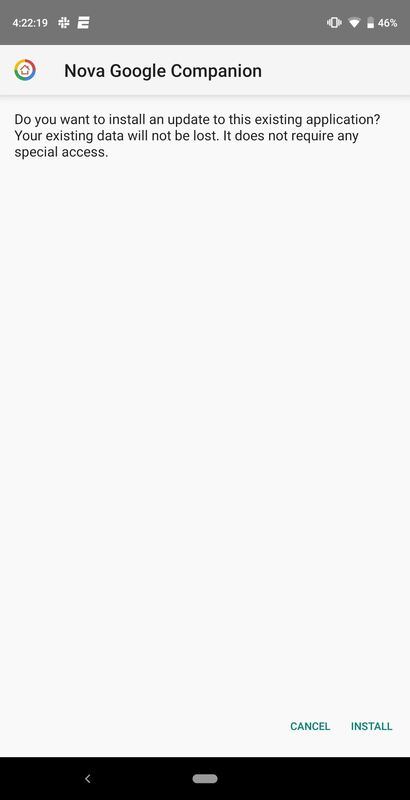 For example, if you open "Gmail" first thing in the morning for 10 minutes, Android will place it in a higher app standby "bucket" at that time seen you need it active. It will also set an infrequently used app at this time in a lower bucket, limiting its background data sync and battery consumption. With all this data, Android got much better at determining when your phone will die, to the nearest half an hour. In Android 10, Google is placing that information front and center. 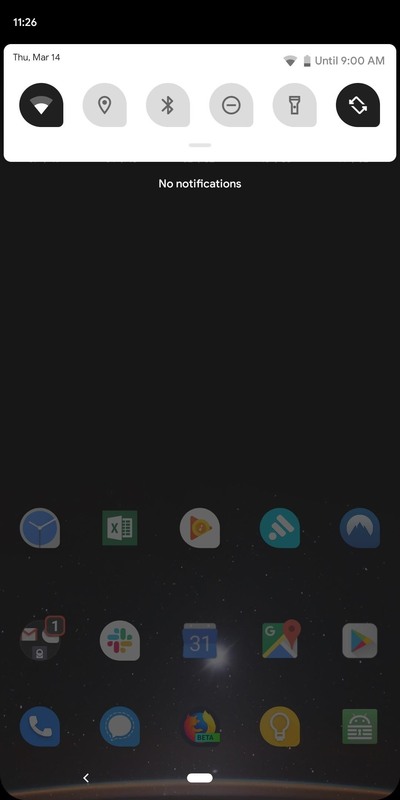 If you have the battery percentage indicator enabled in your status bar, when you pull down the notification shade once (revealing the first six tiles of the Quick Settings), next to your battery icon will be the estimated time when your phone will die. This time will adjust based on usage to improve accuracy. With machine learning analysis of your battery usage, your Android powered phone also knows when you typically would charge your phone during the day. In Android Q, if it determines your battery will die before reaching this normal charging time, it can turn on Battery Saver automatically — how cool is that!? When listening to music, sometimes the usual playback controls aren't enough. I can think of several times I've want to listen to a specific verse or section of a song and needed to stop what I was doing, unlock my phone, and use the progress bar in my music app to rewind to the exact point I wanted to listen to. 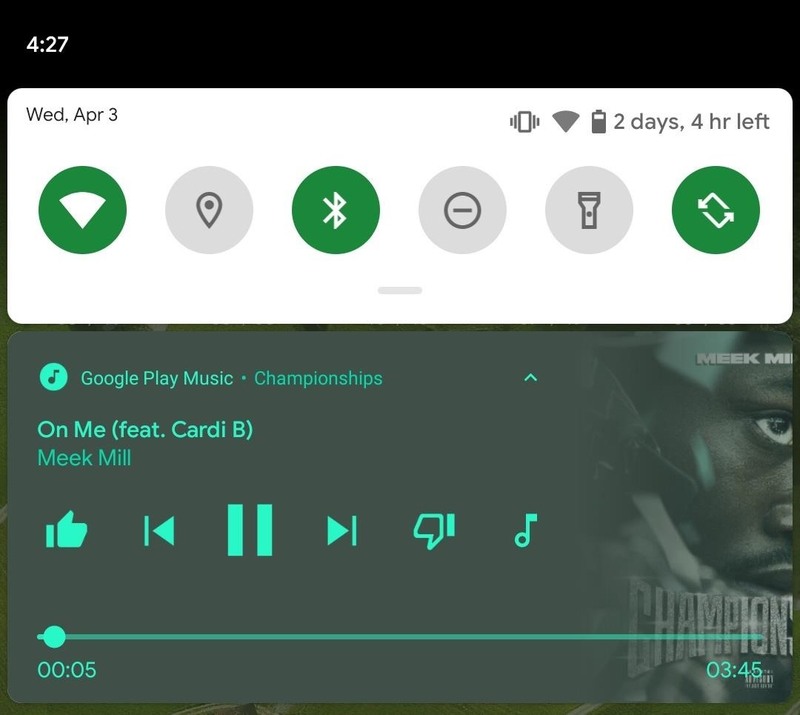 Android 10 changes this by updating the music control notifications to include a song progress bar. Below the usual playback controls, you will also be able to scroll through your favorite song via the scrubber. As usual, the notification is accessible on the lock screen as well, letting you move to a specific section in only a few touches. For those who sideload apps, you are very familiar with the installation prompt. A mostly white page which had the name of the app and an installation bar showing the progress. 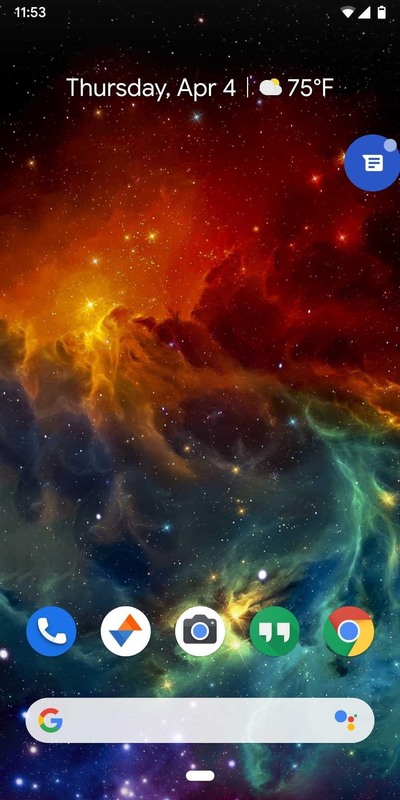 You might have never thought about it, but there is a lot of wasted space there. Apparently, the Android team agreed and changed it for Android 10. Now, instead of a full page, a popup appears showing the same information. While it isn't a huge change, it is a much cleaner experience. In previous versions of Android, notifications could be interacted with using a swipe in either direction. 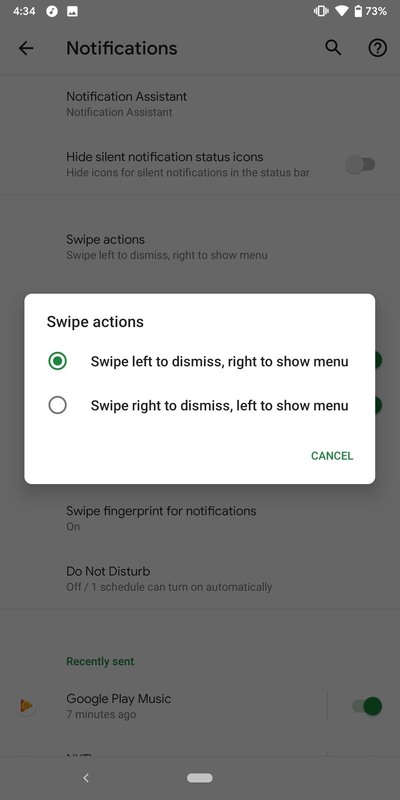 In Android Oreo, these gestures expanded to include access to a submenu that let you manage notifications if you ended your swipe early (i.e., long swipe to dismiss, short swipe to see options). In this submenu was the ability to snooze individual notifications or turn off a specific type of notifications via Notifications Channels. Accessing this submenu wasn't the easiest of gestures as it required a partial swipe to the left or right. This would oftentimes result in unintentional notification dismissal if you swiped too fast. With Android 10, the gestures changed. Instead of a partial swipe, Android now makes a swipe to the left automatically access the submenu, while the swipe to the right will dismiss the notification. Additionally, you can customize this gesture to be the reverse order (right for options, left to dismiss). 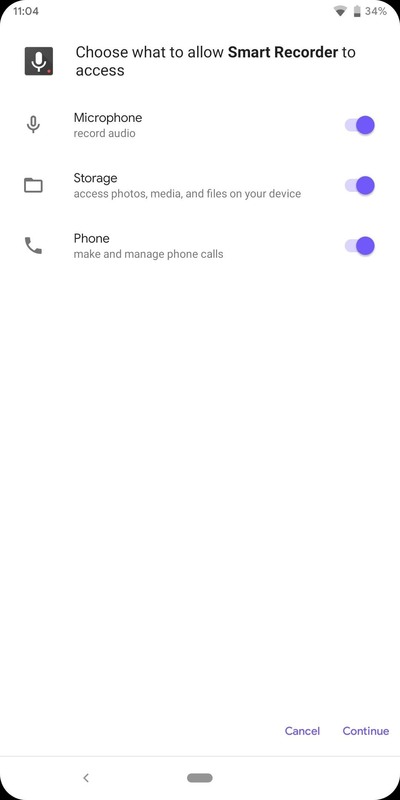 Android 9 Pie made a bold change in how the volume rocker worked by making the media volume the default action. This was a huge win for those in the Android community who had been asking for this for years. But Google isn't stopping there. With Android 10, Google is making all volume levels even easier to access. 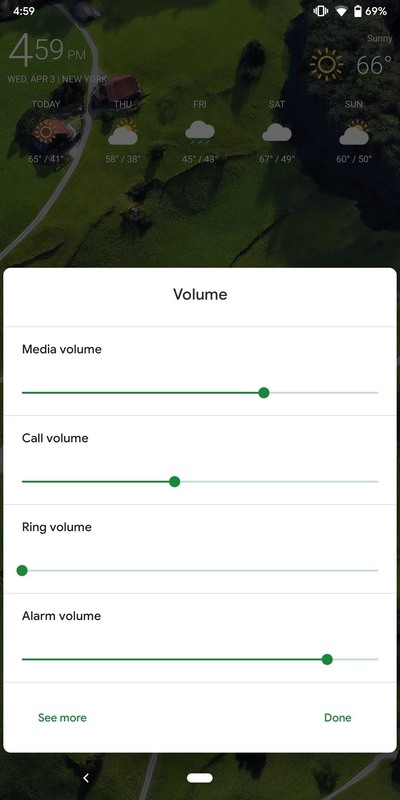 Instead of having to enter Settings for some volume levels, you can now manage the volume of your media, calls, ringer, and alarms from any screen. After pressing the volume rocker to bring up the volume menu, choose the icon at the bottom of the menu. This will bring up a new popup which provides access to each of the manageable volume bars found in the Settings. This one is a small change. Android made a minor tweak to the battery icons in the status bar. Instead of the empty portion being gray, it is now fully transparent with a white outline. Android has always prioritized multitasking. Since its inception, it's always been easier than other mobile OSes to manage the multiple alerts which arrive on your smartphone. 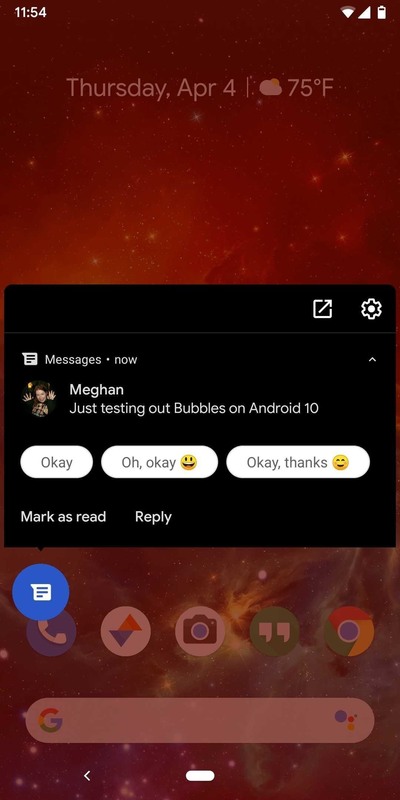 Android 10 will continue this tradition with a new feature known as bubbles. Bubbles are small icons that can be overlaid over other apps. Once selected, these icons give you quick access to interactions within the app. One example of this is Android Messages. With bubbles, you can continue a conversation with specific contact without having to open the Android Messages app each time. While there's already some inline messaging functionality with notifications, bubbles make interaction even easier, as they operate as a mini version of the app that you can access at any time. Developers now have access to a new MicrophoneDirection API which lets them specify a specific direction of the microphone when recording audio. 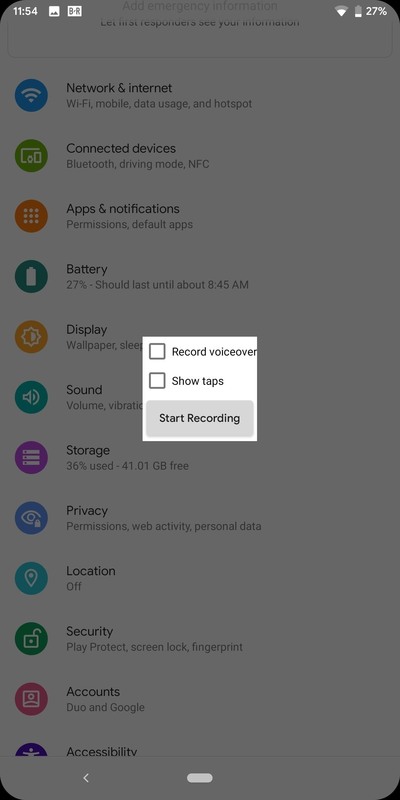 For example, a voice recording app can now direct the microphone nearest your mouth (using the gyroscope to detect the orientation of the phone) for clear recording. Additionally, this same API gives your microphone zooming capabilities, allowing apps to control the recording field dimension. With the search bar in Settings is a new Google Account button. 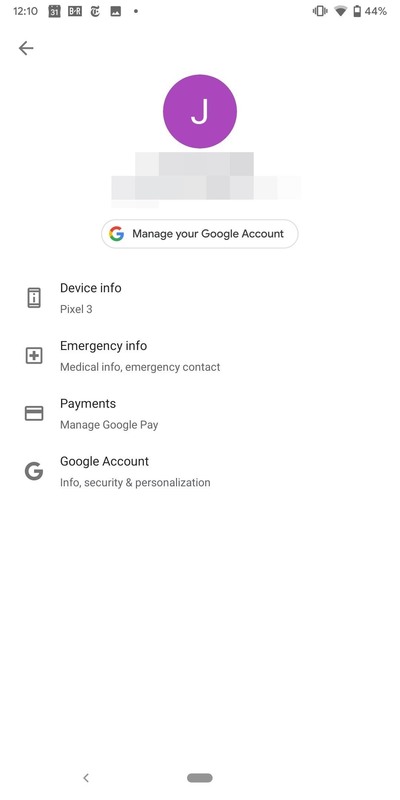 Similar to Gmail, you can select this icon to switch accounts (if you have more than one Google account synced to your phone), access emergency information, jump into the "About Phone" page, manage Google Pay, and configure your Google Account. When Android 5.0 Lollipop launched, it introduced an animation which faded the colors of your screen to a black and white monochrome when you turned the display off. It was removed after Android 5.1 Lollipop because it caused a memory leak problem. With Android 10, it's back and better than ever. Not only does your phone fade to monochrome when the screen turns off, but it fades back into color when the screen turns on. It's quick and a little hard to notice, but watch the screen when you hit the power button. It turns monochrome before it goes black. It then it fades from monochrome to full color when you turn the screen on. We will continue to update this article as new changes become known. What do you think about Android 10 so far? Are you excited about the new update? Let us know in the comment section below. Quite detailed and to the point article. I discovered this page a few days ago and it has really useful info. Just did the Android update and now my lock screen only shows one dot for all notifications. Have to swipe down to see who I have messages from. Is there a way to revert back to the old way where the notifications appear separately?